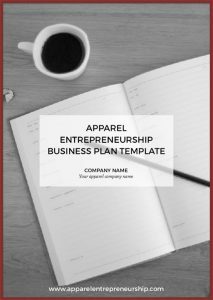 The Apparel Entrepreneurship E-Book is now available for order here on our site. In the book, you’ll learn about apparel entrepreneurship from idea to market launch, and beyond. It is an inspirational and educational book that will guide you in the achievement of starting and running your apparel brand. This book is extremely detailed and how-to oriented. It will tell you exactly WHAT you need to do, WHY you need to do it, and HOW to do it. It’s a book for action takers. Who Is The Apparel Entrepreneurship For? Whether you want to start a new apparel brand, or you have an existing business and want to expand into apparel, this book will help you get started the right way. Already working in the apparel industry and want to launch your own brand? You might have worked in some areas of the business and have knowledge gaps in certain areas. If you have an existing apparel brand and want to expand your collection, deepen your knowledge, and improve areas of your business where there are competence gaps, the book is for you. 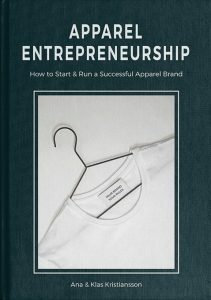 Why The Apparel Entrepreneurship Book? You will tap in on 15+ years of experience, knowledge, and passion in the apparel industry. We have built the free life we have dreamt of for years, and we know the feeling of being in full control of your time and your business. The Apparel Entrepreneurship Book will help you achieve your dreams, live the life you want and spend it doing what you love, just like we do. Order it here. Instant delivery.